Lauuren had a surprise wedding. Her guest thought they were going to an engagement party instead. What a fun idea. 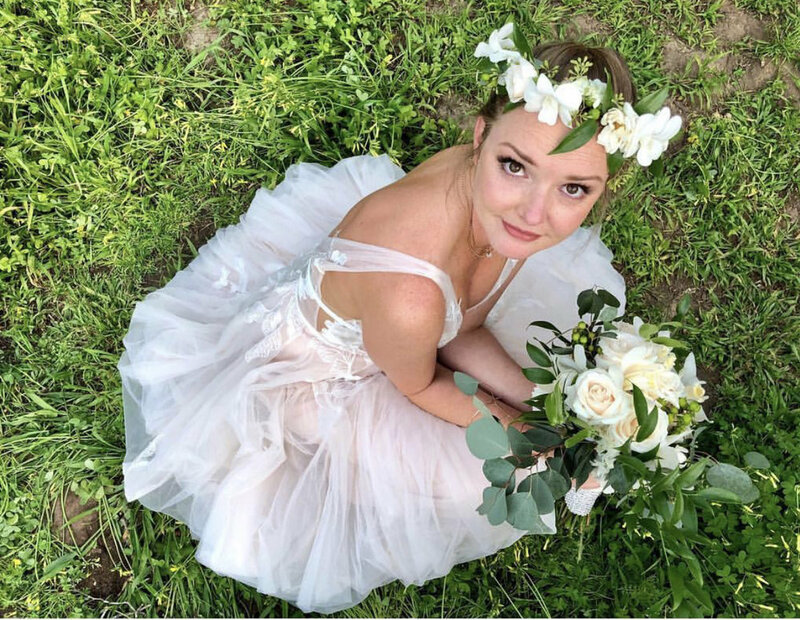 I love the concept and she looks like a little woodland fairy and some of these pictures that I borrowed from her Instagram. They got ready in a lovely room at The Ranch in Laguna Beach. 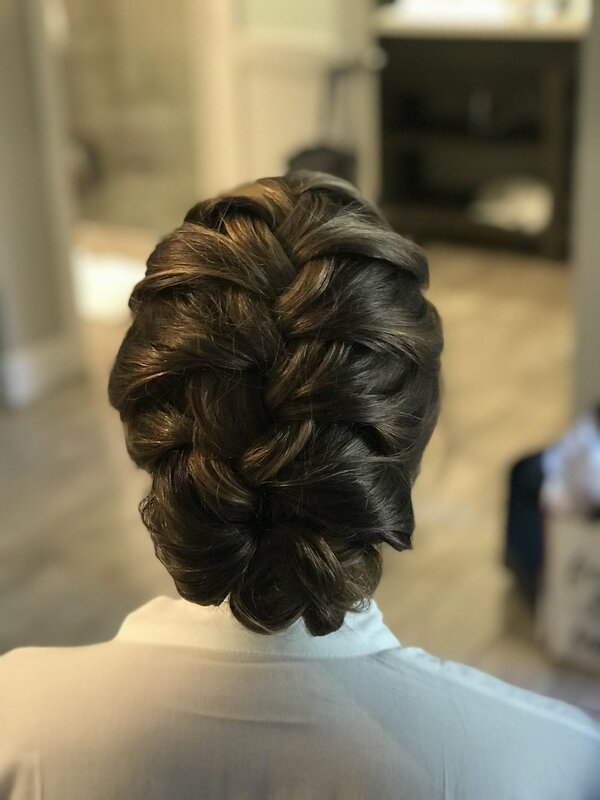 Here are some photos of bride Lauren’s hair which was a French braid updo and her bridesmaids hair. And here are some photos of the airbrush makeup I did on the girls for a flawless look.